-Cold Cathode is a continuous line of light without the gaps and shadows seen in light sources such as LEDs or fluorescent fixtures. 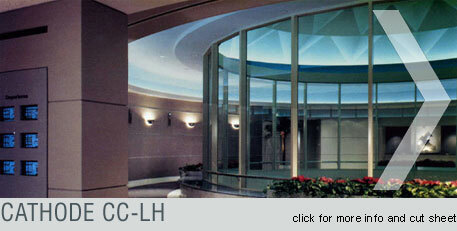 -Cold Cathode can be formed to nearly any shape.Lamps are custom made from custom patterns and dimensions. -Cold Cathode lighting systems are dimmable. Compatible with most dimming systems, the dimming range is extraordinary. 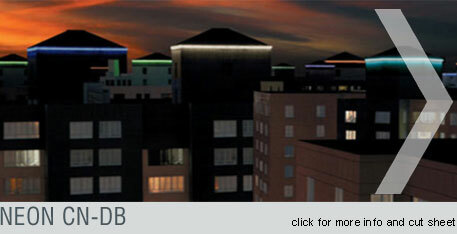 -Cold Cathode lighting is available in an extensive number of colors. Although most often specified in warm whites, nearly 100 colors are available. -Cold Cathode lighting is valued for its long life. Typical lamp life is 50,000 hours. This quality is especially useful for hard to reach areas. -Cold Cathode avoids the negative aspects of fluorescent. -Cold Cathode components are UL listed and comply with all NEC requirements and specifications.